One of the benefits of our box from Tanaka Farms is CSA Day at the Farm, which is truly my happy place. 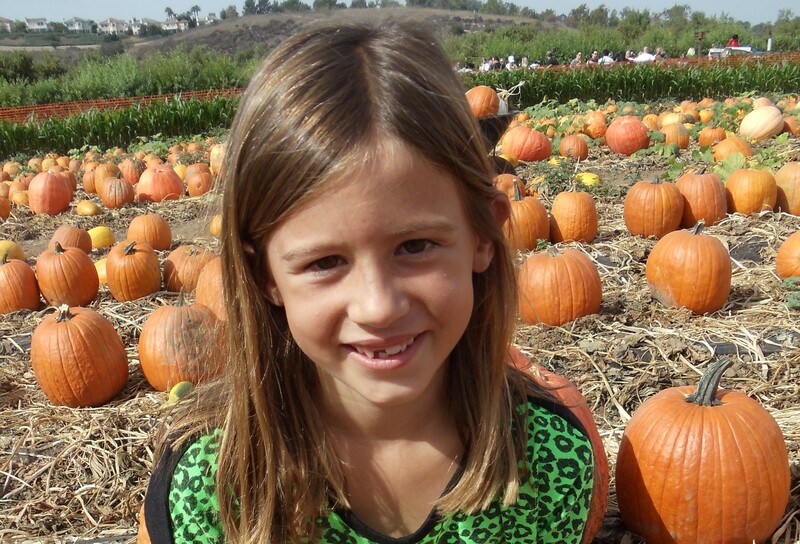 I bring a carload of kids down to Irvine, and we get to take a wagon ride around to see what the season brings. 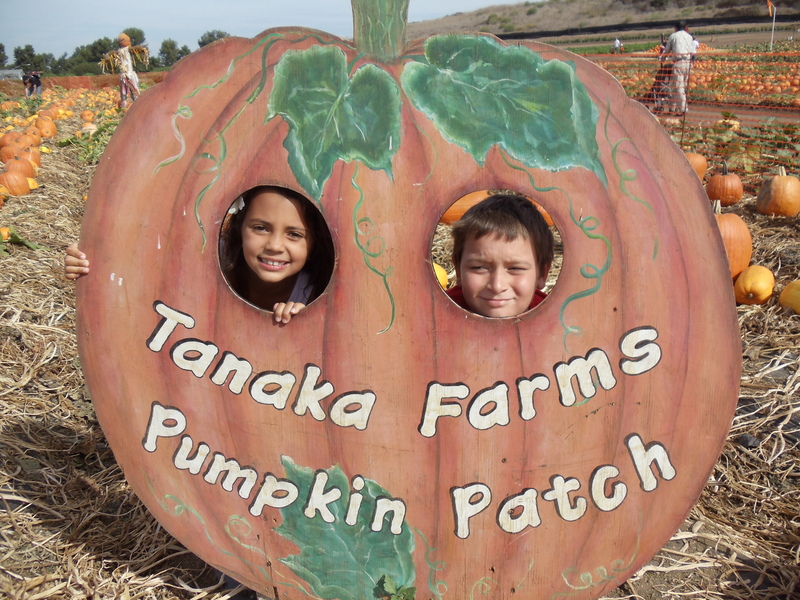 This time of year, it’s the pumpkin tour, with a neverending field of pumpkins of all shapes, variety and size. For the harvest season, they have a petting zoo with goats, micro pigs, sheep and a llama, plus a wagon tour complete with a pumpkin cannon blast off. Then kids weave their way around the corn maze while they lug the perfect pumpkins that they expertly selected despite our warnings that they wait until the end of the day. Of course, the adults end up hauling the pumpkin booty around the farm, or wheeling them around in a wheel barrow, which is much harder than it seems. The farmers also put out a delicious and thoughtful spread of field fresh food, with slices of watermelon, grilled summer squash and onions, strawberry tomatoes (a hybird cherry tomato shaped like a strawberry and almost as sweet) and an amazing kale salad. This salad gets better when it has some time to hang out in the acidic dressing, as the kale softens and takes on a sweet flavor. The woman at the farm who made the salad said her forearms felt like Popeye’s because she tossed it with her bare hands to make it tender. Toss kale with lemon juice, olive oil, vinegar and agave, until leaves are well coated and become slightly softened. Season with salt and pepper, then chill in a fridge for 10-20 minutes. Toss in apples, cranberries and pinenuts to serve.